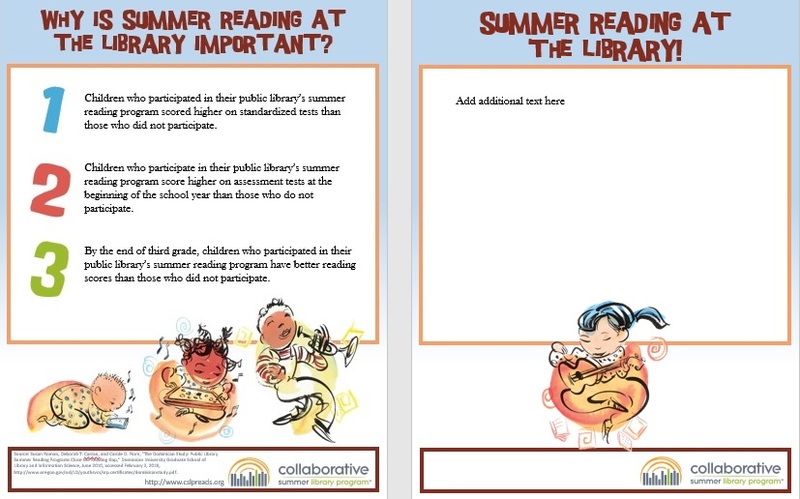 Here is an easy to use flyer created in PowerPoint to help you share why summer reading is important. The front contains important research demonstrating the positive impact summer reading has on children. The back contains an open space for you to put facts from your own programs, or upcoming library events. There is room at the bottom for your library’s contact information or logo. Don’t have PowerPoint? Here is the flyer saved as a PDF. You cannot edit the file, but you could add your information by running it through the printer twice.